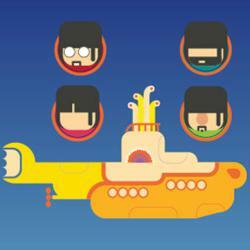 Research by Kaplan International Colleges reveals that ESL teachers use The Beatles to help students learn English. The music of The Beatles has always been a bridge of love and communication. I think this is great. A new study has found that 40% of surveyed ESL (English as a second language) teachers play songs by The Beatles to help their students learn English. Research by Kaplan International Colleges, a leading provider of English courses, revealed that 86% of ESL teachers play music during class to enhance lessons and help students improve their understanding of the English language. Kaplan discovered that The Beatles were the most popular band used by ESL teachers with 40% stating that they used the songs of The Fab Four such as Hey Jude, Love Me Do and A Hard Day’s Night during lessons. James McCartney, the only son of Paul McCartney, said: "What a great way to learn any language–by learning through music. Music is a universal language that can bridge the traditional language barrier, and the music of The Beatles has always been a bridge of love and communication. I think this is great." The Beatles, whose influence on music and culture is still felt across the world today, were the most played band in English lessons beating other established artists such as Michael Jackson, Bob Marley and Elvis by a substantial margin. Jackson was favoured by just 6% of ESL teachers, while the reggae songs of Bob Marley were played by 5% and Elvis was used by only 4% of educators. One Direction, the latest band to be compared to The Beatles, came fifth with 3%. 81% of ESL teachers have used English-speaking celebrities to engage students: Barack Obama being the most popular celebrity. Kaplan surveyed 503 ESL teachers from the UK, USA, Australia, New Zealand, China, Japan, Russia, India, South Korea, Turkey, Georgia, Germany, Brazil, Canada, Hong Kong, Ireland, Greece, Vietnam, Spain, Cuba, France, Taiwan, Thailand, Azerbajan, Pakistan, Tunisia, Mexico, Iran, Ukraine, Jamaica, Malaysia, Romania, Poland, Argentina, Czech Republic, Latvia, Uganda, Malta, Singapore and Chile. In a previous conducted in 2012, Kaplan found that Bob Marley was the most popular musician for helping people learn English outside of the classroom with 80% of those surveyed claiming that listening to music enhanced their English language skills.